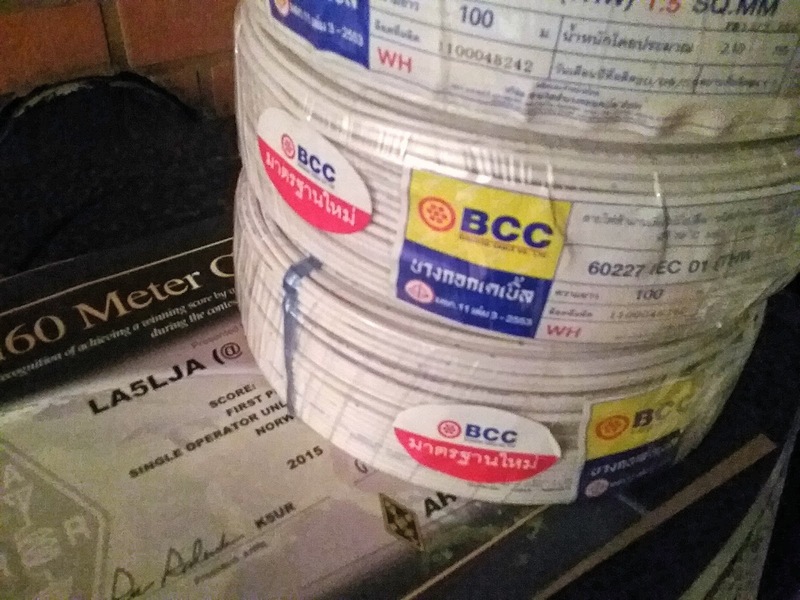 LA5LJA : HAM RADIO,DX-ING AND CONTESTING, FOUNDER OF CLUBSTATION LA7TTT-LN7TTT : CHEAP CABLE. I buy this cable in Thailand 6 roll's of 1,5 mm el-cable à 100 mtr. Very cheap/good price in Thailand compared to Norway.